Now is the time to create strong foundations for your child’s future health. Find out what foods to encourage and what foods to limit or avoid. For example: cheese, yoghurt, cream, butter (cow, sheep or goat). For example: sauces, mayonnaise, oils. This range and quantity of foods will not necessarily be achievable every day. For preschoolers, nutritional intake and amount is measured over weeks rather than days, compared to the more predictable adult eating patterns we know. Preschooler‘s growth at this stage is characterised by a lengthening of limbs, torso and increase in head circumference. Body weight is effectively ‘re-distributed‘. This dramatically changes their body shape from compact and ‘chubby‘ to a more defined shape for arms, legs and tummy, which can be alarming to some to see ribs clearly for the first time! This is a normal slowing in the rate of growth. In first year, weight triples, contrasting with the next two years where weight may only increase by about four kilograms. Curiosity about their environment – they are discovering and exercising independence and control over their environment. Repetition and experimentation is a strong drive. This can show as periodic ‘obsession‘ with or preference for certain foods, colours, or shapes and a particular bowl or cup. Childhood illnesses can affect appetite and memory of foods they associate with the incident (e.g. a bout of gastro may be linked in their mind to the last thing they ate) and can influence future rejection. New situations and unfamiliar people are treated with suspicion or caution – this goes for new, unfamiliar food too. Moods and tiredness can strongly affect desire for food, either for more or for less, and can precipitate tantrums. The brain is growing intensively at this time. It will triple in size between birth and three years of age. Certain processed and poor quality foods loaded with additives have the potential to cause negative behavioural effects in your child. 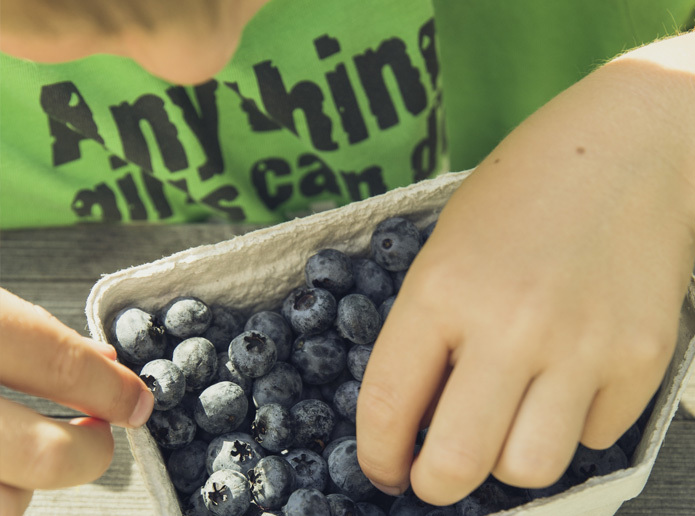 Tastes and preferences for certain foods are laid down in early childhood. If we cultivate a taste for high sugar, salt and artificial flavours, it is very likely to become a habit retained in adulthood. By providing and eating these foods yourself, parents demonstrate strong role modelling with good food choices. Your child learns 90% from deeds and doing, not verbal instruction – “do as I do, not as I say”. Health effects from nutrient poor food or highly processed foods are not necessarily immediate but have longer term effects. By making good food choices at least 80% of the time, you build strong health foundations for the future. It is not just about the number of calories, it‘s about the quality of the food you eat. The foods in the table below have high levels of nutrients compared to the number of calories they contain. For example, an egg has protein, fats, Vitamin A, B Vitamins, iron, phosphorous and selenium, all for 70 calories. The foods in the table below offer a lot of calories for poor return on nutrients—or even a negative effect from consuming it. For example, a snack of a donut and a can of cola is full of refined flours, sugars and trans fats, which provide a lot of calories (450) but contain no minerals or vitamins. The body feels full but is still craving nutrients that have been refined out.